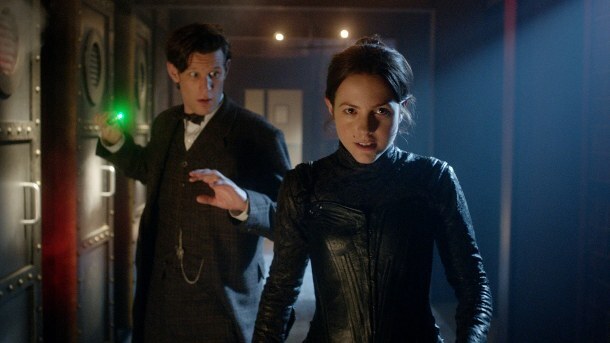 We get a Monty Python reference, a nod to previous Who companion Teagan (Janet Fielding), a classic Bond Girl, Diana Rigg, playing the villain of the piece Winifred Gillyflower, the return of Silurian Madame Vastra (Neve McIntosh), Sontaran butler Strax (Dan Starkey) and the enchanting Jenny (Catrin Stewart). All bundled up in a script by Mark Gatiss, which I enjoyed more than last week’s episode by far, from the jerky faded film style, and pictures used as the Doctor (Matt Smith) tells his side of the story (which also nicely sets up the reveal of all the pictures at the end of the episode). There’s also some nice delightful banter and discussion about how can it possibly be Clara (Jenna-Louise Coleman) as Clara died last time this Victorian trio saw her. The story is kind of middle of the road, but it is so wrapped up in its sense of fun, that it doesn’t really matter. Diana Rigg is properly insane and evil in this episode, even treating her daughter Ada (Rachel Stirling) poorly, telling her there is no place for her in the new garden of Eden she and her unseen (until episode’s end) cohort Mr. Sweet are creating with all of the smart and attractive people they can find. Her plan is to wipe out all of humanity using a toxin from the Jurassic era, and then repopulate it with her selections, which are safely stowed away for safe keeping. This is not a slight against the character of the Doctor, who gets to rock an awesome hat in this episode, but I love that the first half of the episode is all with Jenny, Vastra and Strax as they investigate an impossible thing… an optigram of the Doctor! Jenny gets to be front and center, and investigates Gillyflower’s Sweetville as she tries to find out what happened to the Doctor. Every character gets a moment in this episode, and that’s fun to see, none of them are pushed too far to the side, and it actually feels like an ensemble effort this time around. 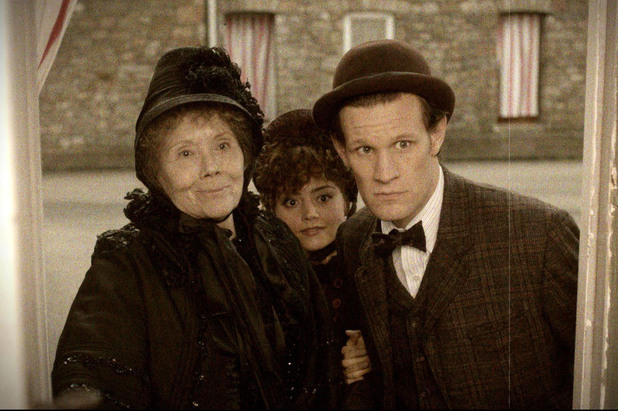 Honestly I would love a spin-off for our Victorian trio. They seem to have so much fun together! 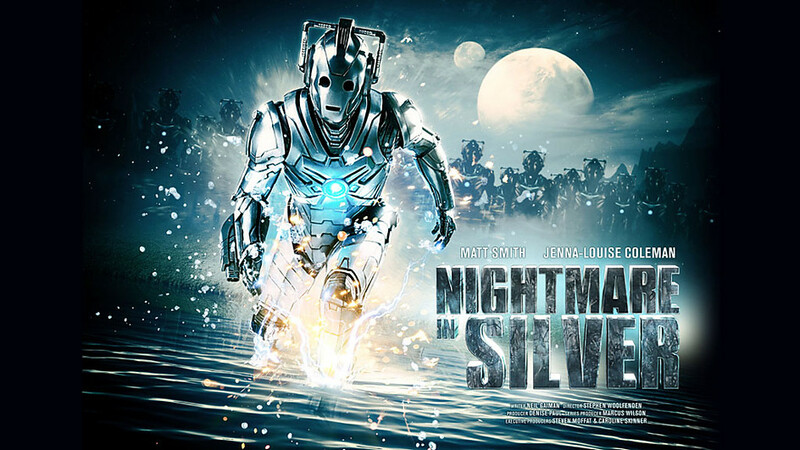 I’m a little unsure about next week’s episode Nightmare In Silver, I’m ok with the return of the Cybermen, but a little worried about adding more folks as travelers in the TARDIS… we’ll see. Matt looks like he’s having a grand ole time in this episode, trotting out a couple of different accents, stealing a kiss, and confronting Gillyflower. Strax is, as always, over the top, Clara looks adorable – I do love that playful twinkle she gets, and did I mention Jenny? This and Hide have to be my favorite eps from the second part of this season, and while there are only two to go, and once again, I need to clarify, I’m really not worried what the Doctor’s name is, I’m already starting to shift my attention from this series and onto the upcoming 50th Anniversary special. What have your favorite moments from this season? Doctor Who airs Saturdays on Space.